Spend a civilized Monday evening with one of the most distinguished women in the world. The American Jewish University's reputable public lecture series is LA's nerve center for world leaders, public figures and political scholars to share their knowledge in an intimate setting. 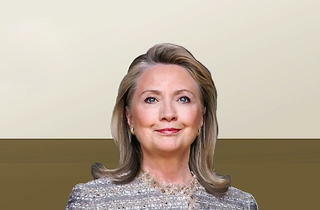 On June 24, the Gibson Amphitheatre in Universal City welcomes former Secretary of State Hillary Rodham Clinton. Having just stepped down from her position as America’s chief diplomat and principal foreign policy advisor to President Obama, Secretary Clinton's visit to LA could not come at a more fascinating time. Nab your tickets to her lecture before they're swept up by the more educated of Angelenos.